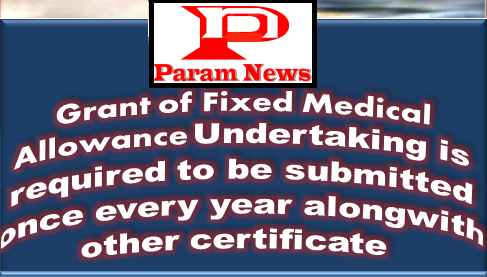 As and when grant of medical allowance to a pensioner/family pensioner is authorized by the pension disbursing authority, intimation to this effect shall be sent to the CPAO/concerned Pay & Accounts Office in the prescribed proforma. The payment shall be made to the pensioner by the pension disbursing authority alongwith pension/ family pension of monthly basis. Grant of medical allowance to a pensioner/family pensioner is authorized by the pension disbursing authority, intimation to this effect shall be sent to the CPAO/concerned Pay & Accounts Office in the prescribed proforma.